Yeah, I was guessing a Toclafane but I don`t think it will be as Steven Moffat doesn`t like bringing back old monsters. Saying that. lots of cyber action! They've repeatedly said that A Time Lord will die. A Time Lord. Does that mean some are coming back? People who read the spoilers will probably already know what the thing you're comparing to the Toclafane is, and what episode it appears in. I have no idea. Is it one of the spoilers on this thread? 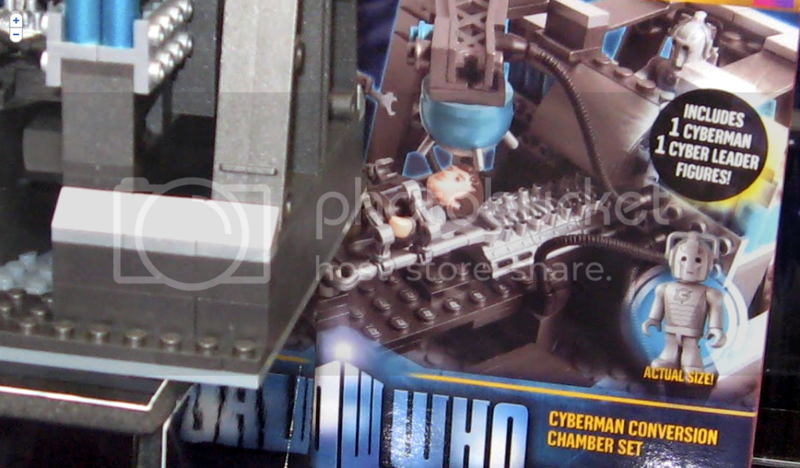 Pretty sure it's a "Handbot" from episode 10. I don`t know but I think somehow the flesh doctor will return and he is the one who dies. Is is possible he is the Time Lord they are talking about? I'm still wondering if the alternate universe that was hinted at will still come into play. I think it was in the trailer - if it is coming. I'm assuming it's when Amy (I think it was Amy) walks out of that big house and there's weird plants/trees everywhere. About 20 seconds in. The astronaut STILL walks out of water ffs. It has to be a parallel universe. Well, there will be two Doctors as they've referred to it so many times. Rory keeps talking about himself as a nurse...do they usually progress into Doctors? Did anyone notice the sarcophagus in the River scene? It's probably nothing but then again it seems oddly reminiscent of the figures in the museum in The Big Bang. Oh and where is Ape? Nurses don`t usually progress into doctors, they stay as nurses. Apparently, there is a reason that rory keeps "dying" - that`s what I want to find out! As for the two doctor thing, is it two different doctors or the same at different points in his timeline? Argh too many questions. Pyramid image which kind of links to my earlier post. It's definitely not a spoiler.